The American Red Cross prevents and alleviates human suffering in the face of emergencies by mobilizing the power of volunteers and the generosity of donors. Through its strong network of volunteers, donors and partners, the American Red Cross is always there in times of need. 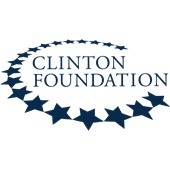 We aspire to turn compassion into action so that all people affected by disaster across the country and around the world receive care, shelter and hope; our communities are ready and prepared for disasters; everyone in our country has access to safe, lifesaving blood and blood products; all members of our armed services and their families find support and comfort whenever needed; and in an emergency, there are always trained individuals nearby, ready to use their Red Cross skills to save lives. The American Red Cross is part of a global network dedicated to relieving human suffering. The International Federation of Red Cross and Red Crescent Societies is made up from 190 individual National Societies dedicated to the Fundamental Principles of Humanity, Neutrality, Impartiality, Independence, Voluntary Service, Unity and Universality. Around 17 million Red Cross and Red Crescent volunteers play an essential role in supporting their communities throughout the world. 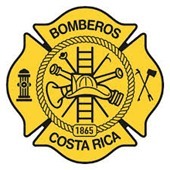 The Costa Rican Firemen Corps provides prevention and protection services in order to achieve its main goal to safeguard life, property and the environment. The CRFC currently has 76 fire stations, distributed throughout the country and strategically located in order to best provide the necessary services nationwide. The organization’s highly qualified personnel ensures to accomplish our motto of “we love what we do in order to keep safe what you love”. CARE is a global leader within a worldwide movement dedicated to ending poverty. We are known everywhere for our unshakeable commitment to the dignity of people. We seek a world of hope, tolerance and social justice, where poverty has been overcome and all people live with dignity and security. Every year, CARE responds to approximately 30 disasters that affect the lives of 11-12 million people around the world. With emergency-response experts on the ground in 69 countries — 95 percent of them citizens of those areas — we provide emergency food, relief supplies, water and sanitation and shelter to survivors. The Caribbean Disaster Emergency Management Agency (CDEMA) is a regional inter-governmental agency for disaster management in the Caribbean Community (CARICOM) and comprises 18 Participating States. 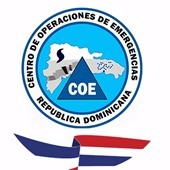 The Agency was established in 1991 as CDERA (Caribbean Disaster Emergency Response Agency) with primary responsibility for the coordination of emergency response and relief efforts to Participating States that require such assistance. It transitioned to CDEMA in 2009 to fully embrace the principles and practice of Comprehensive Disaster Management (CDM). CDM is an integrated and proactive approach to disaster management and seeks to reduce the risk and loss associated with natural and technological hazards and the effects of climate change to enhance regional sustainable development. The CDEMA, being the regional disaster management body, serves as facilitator, driver, coordinator and motivating force for the promotion and engineering of Comprehensive Disaster Management in all Participating States. Costa Rica is a small country in Central America. Its Pastoral Social – Caritas consists of seven dioceses and one archdiocese, which operate throughout the country. The Social Pastoral of the Diocese of Alajuela has the purpose of supporting the efforts for a society that is fairer, more just and more equitable every day. The association concentrates its efforts on these areas of operation: human rights; justice; peace and reconciliation; migration; refugees and human trafficking; the environment; risk management and emergency relief; institutional capacity building; integral human development and solidarity. Various actions are implemented: assistance to people with HIV; preventing boys, girls and adolescents from leaving school early and being engaged in child labour; accompaniment of prisoners; improvement of the quality of life of the elderly; disaster risk management; and climate change mitigation and adaptation, among others. The Regional Technical Telecommunications Commission, COMTELCA, is an international law regional entity created through the Central American Telecommunications Treaty signed on 1966, by the governments of Guatemala, El Salvador, Honduras and Nicaragua, and, on 1967, by Costa Rica. The Republic of Panama joined COMTELCA in 1995 and Mexico in early 2018. COMTELCA promotes the integration, harmonization and development of ICT public policies, monitors the common interests of its members and provides a channel for communicating issues and other matters to the various government and regulatory authorities, and other stakeholders, on behalf of its members, with the purpose of working towards strengthening and supporting the digital technology ecosystem, in addition to creating incentives for mainstreaming technology i.e. ensuring the use of technologies in all productive sectors. 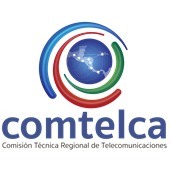 With four technical committees (Radiocommunications, Standardization, Development and Legal Affairs), members of COMTELCA can participate in discussions and assessments of ICT issues in the region, help resolve the most pressing issues and establish the foundation for a better ICT future for all its country members. 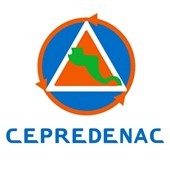 The Executive Secretariat of CEPREDENAC negotiates, advises and manages regional programs, implemented through national fund and international cooperation. The Programs and Projects Portfolio are constantly updated and has been established according to needs and priorities, in consultation with national authorities. CEPREDENAC’s coordination model is base on optimizing resources, fostering Disaster Risk Management institutionalization in all sectors. 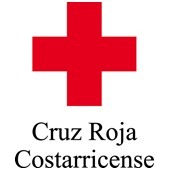 The Costa Rican Red Cross (formed in 1885) is an NGO, part of the Red Cross International Movement. The Costa Rican Red Cross works across four main areas: 1. they are one of the largest providers of prehospital emergency care services in the country, 2. they provide patient transport services for the Costa Rican Social Security Fund and the National Insurance Institute among the system's providers and among the patients' homes (a fleet composed of some 600 ambulances, operating in 122 auxiliary committees throughout the country, distributed in 9 administrative regions), 3. Risk management and disaster response - they are part of the national risk management system and members of the Emergency Operations Center at the national level including A. Response to disasters, in the phases of impact and rehabilitation, B. Risk Reduction to disasters at community level, C. Community preparation for disasters, and 4. Community resilience in climate change environments with all institutions and organizations at the local and regional level. 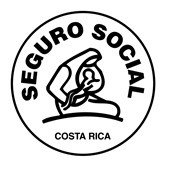 The Costa Rican Social Security Fund (Caja Costarricense de Seguro Social) provides health services in an integral manner to the individual, family and community, and grant economic, social and pension protection, in accordance with current legislation, to the Costa Rican population. Its services are available to all citizens and permanent legal residents. Having initially carried out services at private hospitals but funded by the Costa Rican Social Security Fund, in the mid-1960s the Caja begin constructing its own hospitals staffed by public employees. As a public institution, it formulates and executes health programs that are both preventive (such as: vaccination, informational, fumigation, etc.) and healing (such as: surgery, radiation therapy, pharmacy, clinical, etc.) in nature. The Global Network of Civil Society Organisations for Disaster Reduction (GNDR) is the largest international network of civil society organisations (CSOs) that work to strengthen resilience and reduce disaster risks in communities worldwide. GNDR represents and convenes CSOs in international spaces with regard to the Sendai framework implementation and monitoring, making sure that the voices of its 700+ Full Member organisations, spread across 107 countries, are heard. Through its ECOSOC Special Consultative status, GNDR and its members can formally participate in all formal UN consultation processes. GNDR has a longstanding relationship and collaborates closely with UNISDR, as well as formal partnership agreements to collaborate with the EU in humanitarian and development matters. The GNDR Flagship programme ‘Views from the Frontline’ (VFL) has mobilised in the past over 500 organisations, and reached out to approximately 95,000 stakeholders in communities in 69 countries, monitoring the progress of international disaster risk reduction efforts at a local level for the past 10 years. The Global VSAT Forum (GVF) is the global association of the satellite industry. 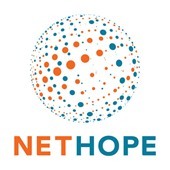 Founded in 1997, it brings together organizations engaged in the delivery of advanced broadband and narrowband satellite services to consumers, and commercial and government enterprises worldwide. Headquartered in London, GVF is an independent non-profit organization with member companies from every region of the world. The organization represents every sector of the satellite industry, including fixed and mobile satellite operators, satellite network operators, teleports, satellite earth station manufacturers, system integrators, value added and enhanced service providers, telecom carriers, consultants, law firms, users, and now, Earth imaging companies. The Disaster Recovery Network at GlobalGiving is transforming humanitarian aid and philanthropy by shifting decision-making power to crises-affected communities through trust-based grantmaking and support. We make it easy, quick, and safe to support local people who understand what their community needs are and who will remain long after the cameras are gone. Our network comprises thousands of local nonprofit organizations in more than 170 countries—backed by thousands of generous funders. Local organizations are key to disaster relief and recovery, and we connect them with donors directly so that communities can receive funding within days of an event. Since 2004, the Disaster Recovery Network at GlobalGiving has partnered with hundreds of nonprofits to deliver close to $70M to countries facing disasters and humanitarian emergencies. GlobalGiving is the largest global crowdfunding community connecting nonprofits, donors, and companies in nearly every country. GlobalGiving is a nonprofit that makes it easy and safe to give to projects anywhere in the world, while providing local organizations the tools, training, and support they need to become more effective. For more than 20 years, Habitat for Humanity has been working in Disaster Response, offering a variety of interventions to help vulnerable families and communities recover from devastating disasters and conflicts. Habitat’s recovery initiatives include shelter and settlements interventions with an end goal of sustainable development. They include emergency shelter kits, transitional shelters, core and incremental building; complete new house construction, repairs and reconstruction; and retrofitting to enhance resistance to hazards. Access to land, affirmation of tenure rights, access to clean water and improved sanitation complement this enabling strategy. Habitat supports holistic approaches to working with families and communities who have been affected by disasters. In addition to shelter, community needs can include restoration of livelihoods, education, skills training, concerns for safety, and maintaining valuable social networks. In collaboration with community leaders, local government, humanitarian aid and development organizations and the affected families themselves, Habitat works in more than 70 countries trying to address these needs where appropriate. ICLEI - Local Governments for Sustainability is the International Environment Agency for Local Governments, which supports them through training, technical assistance and advice in the design and implementation of sustainable development programs. ICLEI is an international, non-governmental, non-profit organization that functions as an association of local governments, founded in 1990 at the United Nations headquarters in New York, United States; an official observer of the Conventions on Climate Change, Biological Diversity and the Fight against Desertification. Currently, ICLEI is located in more than 86 countries, with more than 1,500 members, representing more than 850 million people. The Secretariat for Mexico, Central America and the Caribbean works with more than 500 municipalities and local governments, promoting initiatives to implement sustainable development efficiently and effectively. In addition, ICLEI brings together national and international experts to create and discuss new alternatives for local policies, among which are transport, construction, resilience, biodiversity, etc. The International Federation of Red Cross and Red Crescent Societies (IFRC) is the world’s largest humanitarian network, with 190 National Red Cross and Red Crescent Societies and around 17 million volunteers. IFRC works to strengthen and accompany National Societies, so that they may better address current and future challenges. We support coordination of the global Red Cross and Red Crescent network before, during and after disasters and crises. Together, we reach more than 160 million people with life-saving and life-changing support annually. 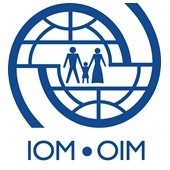 The International Organization for Migration is the UN Migration Agency. It was established in 1951, and is committed to the principle that humane and orderly migration benefits migrants and society. With 172 member states, 8 states holding observer status, and Offices in over 100 countries, it works closely with governmental, intergovernmental and non-governmental partners by providing services and advice to governments and migrants. 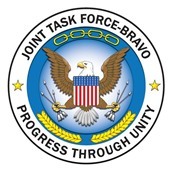 Joint Task Force-Bravo is one of two task forces under United States Southern Command. Located at Soto Cano Air Base, Honduras, JTF-Bravo operates a forward, all-weather day/night C-5-capable air base, organizes multilateral exercises and supports, in cooperation with our partner nations, counter transnational organized crime, humanitarian assistance/disaster relief efforts and the development of partner capacities, to promote regional cooperation and security in Central America, South America and the Caribbean. Created in 1995, the Transport Infrastructure Program -PITRA- of the LanammeUCR has a main objective: "to contribute to develop and conserve the transport infrastructure of the country with efficiency, quality, and safety; with the purpose of improving the quality of life and the competitiveness of citizens". To achieve this objective, PITRA carries out research activities, technology transfer, and training, specific to the action and university projection; in addition to being responsible for the execution of the inspection, evaluation, updating and technical assistance activities that Laws No. 8114 and No. 8603 assign to the LanammeUCR, with the purpose of guaranteeing the quality and efficiency of public investment in the road network of the country. PITRA consists of seven units: Technical Audit, Preparation of Technical Specifications and Technology Transfer, Management and Evaluation of the National Road Network, Municipal Management, Materials and Pavements, Bridges and Road Safety and Transportation. The Costa Rican Ministry of Public Works & Transportation is responsible for regulating and controlling transportation, as well as executing transport infrastructure works, safe and efficient, with the aim of contributing to economic and social growth in harmony with the environment. The Ministry's vision is to lead the implementation of the National Transportation Plan 2011-2035, which is the meeting point of all public institutions, as well as the economic and social agents involved in its implementation. The Ministry's Emergency and Disaster Management Department is currently led by Lic. David Antonio Meléndez Sánchez and they are responsible for planning, directing, organizing, coordinating, executing, controlling and evaluating the activities related to public works emergencies, and to provide an adequate response to emergencies and disasters. 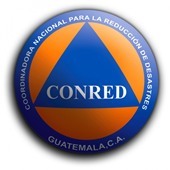 The National Coordinator for Disaster Reduction (CONRED) was created in 1996, as the entity in charge of preventing, mitigating, attending and participating in the rehabilitation and reconstruction of damages caused by the presence of disasters. Subsequently, the Executive Secretariat of the National Coordinator for Disaster Reduction (SE-CONRED) was established as the national body legally responsible for the Coordination for Disaster Risk Reduction, and has commitments and responsibilities at the national, regional and global levels under which it has taken concrete actions to promote the reduction of the impact of disasters which clearly effect sustainable development and increase poverty. To respond to an emergency or disaster, CONRED launches: Immediate Response Teams (ERI); Emergency Operations Center (COE); Incident Command System (SCI); and Damage Assessment and Needs Analysis (EDAN). The Secretary of CONRED, in view of the need to deal with the natural or provoked incidents to which we are exposed, prepares Plans, Prevention Systems and Procedures according to the common incident at a certain time of the year. The National Unit for Disaster Risk Management of Colombia (UNGRD by its initials in Spanish) is a decentralized autonomous national entity part of the Administrative Department of the Presidency of the Republic of Colombia., based in Bogotá, D.C. The main goal of the UNGRD is to lead the implementation of the Disaster Risk Management, while responding to the national Sustainable Development policies, and to coordinate the functioning and continuous development of the National System for Disaster Risk Management. The UNGRD has as part of its main functions to coordinate, promote and strengthen capacities for risk knowledge, risk reduction and disaster management, and to propose and articulate policies, strategies, plans, programs, projects and national procedures of disaster risk management, in the frame of the National System for Disaster Risk Management. The Pan American Health Organization (PAHO), founded in 1902, is the world's oldest international public health agency. It provides technical cooperation and mobilizes partnerships to improve health and quality of life in the countries of the Americas. PAHO is the specialized health agency of the inter-American system and serves as the Regional Office for the Americas of the World Health Organization (WHO) body. Together with WHO, PAHO is a member of the United Nations system. COPECO based on the Law of the National Risk Management System ‘SINAGER’ has the mission of coordinating and strengthening the SINAGER, through shared public and private management, aimed at prevention and risk reduction, emergency care, the recovery and adaptation to climate change to guarantee life, the material and environmental goods of the nation. 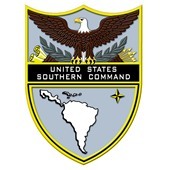 U.S. Southern Command (SOUTHCOM), located in Doral, Fla., is one of ten unified Combatant Commands (COCOMs) in the Department of Defense. SOUTHCOM is responsible for providing contingency planning, operations, and security cooperation in its assigned Area of Responsibility which includes: Central America, South America, and The Caribbean (except U.S. commonwealths, territories, and possessions). The command is also responsible for the force protection of U.S. military resources at these locations. SOUTHCOM is also responsible for ensuring the defense of the Panama Canal. Under the leadership of a four-star commander, SOUTHCOM's staff is organized into directorates, component commands and Security Cooperation Organizations that represent SOUTHCOM in the region. SOUTHCOM is a joint command comprised of more than 1,200 military and civilian personnel representing the Army, Navy, Air Force, Marine Corps, Coast Guard, and several other federal agencies. The services provide SOUTHCOM with component commands which, along with our Joint Special Operations component, two Joint Task Forces, one Joint Interagency Task Force, and Security Cooperation Organizations, perform SOUTHCOM missions and security cooperation activities. SOUTHCOM exercises its Combatant Command authority through the commanders of its components, Joint Task Forces/Joint Interagency Task Force, and Security Cooperation Organizations. U.S. engagement and commitment in the region reflects our enduring promise of friendship, partnership and solidarity with the Americas, and our cooperation supports a prosperous, and secure hemisphere. 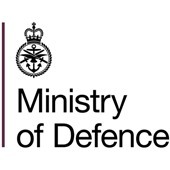 The UK Ministry of Defence has Defence Attaches for Latin America and the Caribbean in Argentina, Brazil, Chile, Colombia, Jamaica and Mexico. Several of these Attaches also have non-resident accreditation to neighbouring countries. The UK maintains a training support base in Belize, in partnership with the Belize Government, has military liaison officers at US NORTHCOM (Colorado Springs) and SOUTHCOM (Miami), and the Joint Inter-agency Task Force (South) - JIATF(S) (Key West). A permanent Navy vessel, currently the Royal Fleet Auxiliary MOUNTS BAY, is in the region, with a role in HADR support during the hurricane season and in support of JIAT(S) at other times. Reserve Defence Forces are based in Bermuda and Montserrat, and Police Marine Units are active in all British Overseas Territories. Most of the OTs are members of CDEMA, and the others are currently establishing links and associate status. With strong historical and professional links across the region the UK conducts an active programme of training and capacity-building with partner countries, using a combination of short-term training teams deployed to the region and residential courses in the UK. A significant HADR training programme is being conducted between February and April 2019 across the Caribbean region using trainers from Bournemouth University Disaster Management Centre. When governments, international organizations, NGOs and other UN agencies look to enhance their ability to respond efficiently and effectively in a disaster, they call on the UN Humanitarian Response Depots (UNHRD). 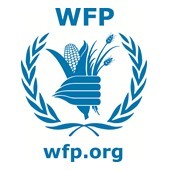 The UNHRD network, managed by WFP, is a preparedness tool that supports the strategic stockpiling efforts of the wider humanitarian community. Recognized as a leader in pre-positioning, storage and handling of emergency supplies and support equipment, the Network manages strategic emergency relief stocks. These stocks include medical kits, shelter items, ready-to-use foods, IT equipment and operational support assets, for a growing base of user organizations - all designed to strengthen and enhance organizational response efforts at the onset of an emergency. The Network is made up of six strategic locations, located in Ghana, UAE, Malaysia, Panama, Italy and Spain. Hubs are strategically located near disaster-prone areas, within airport complexes, close to ports and main roads. Because of this pro-active positioning, when emergencies strike, relief items can be delivered to affected areas worldwide within 24 to 48 hours. The United Nations Office for Project Services (UNOPS) is an operational arm of the United Nations, supporting the successful implementation of its partners' peacebuilding, humanitarian and development projects around the world. UNOPS has a presence in 23 countries in Latin America and the Caribbean. It concentrates its efforts in areas where we have a clear mandate and expertise: I. Sustainable Procurement II. Sustainable Infrastructure, and III. Project Management in the areas of on health, transportation, education, disaster risk reduction, water and sanitation and environmental sustainability. UNOPS has supported Partners in Costa Rica since 2014 though the implementation of projects focusing on the design, construction and supervision of transportation and water and sanitation infrastructures as well as the design and construction of public buildings. The United Nations Procurement Division (UNPD) aims at providing best value for money in the timely acquisition of goods and services to enable UN Secretariat entities deliver their mandates and achieve their objectives globally. UNPD’s clients range from peacekeeping and special political Missions, over Headquarters and Offices Away from Headquarters to Tribunals and other UN entities. Goods and Services include requirements in the Categories of Aviation, Transportation, Vehicles, Engineering, Food, Fuel, Financial & Professional Services, Security, Medical and IT & Communications, among others. UNPD does business with vendors from all over the world and is actively working at increasing its sources of supply from developing countries and countries with economies in transition. 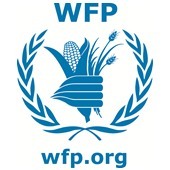 Assisting 80 million people in around 80 countries each year, the World Food Programme (WFP) is the leading humanitarian organization fighting hunger worldwide, delivering food assistance in emergencies and working with governments and communities to improve nutrition and build resilience. As the international community has committed to end hunger, achieve food security and improved nutrition by 2030, one in nine people worldwide still do not have enough to eat. Food and food-related assistance lie at the heart of the struggle to break the cycle of hunger and poverty. Two third of WFP’s work globally is in conflict affected countries where people are three times more likely to be undernourished. However, recognizing the level of development in the Latin America and Caribbean region, WFP’s emphasis is largely on strengthening countries’ capacities. First to reduce the risk of disasters through stronger emergency preparedness mechanisms at community, sub-national, national and regional levels; then to strengthen community resilience to shocks and enhance communities and systems ability to adapt to climate change; and finally, to ensure social protection systems are responsive to shocks to address timely and effectively growing food insecurity and malnutrition in times of crisis. The UN World Food Programme (WFP) is nominated global lead of the Emergency Telecommunications Cluster (ETC) responsible for building strong relationships with the partner network and for ensuring predictable and effective inter-agency response. In addition to its core responsibility of fighting hunger, the WFP is also a leader in the humanitarian community in terms of IT and telecoms in emergencies. 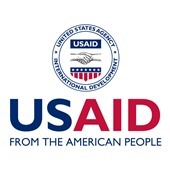 The Latin America and Caribbean regional office of the U.S. Agency for International Development’s Office of U.S. Foreign Disaster Assistance (USAID/OFDA) is located in San Jose, Costa Rica. As part of USAID’s Bureau for Democracy, Conflict, and Humanitarian Assistance (DCHA), USAID/OFDA provides humanitarian assistance to save lives, alleviate human suffering, and reduce the social and economic impact of humanitarian emergencies worldwide. USAID/OFDA is responsible for facilitating and coordinating U.S. Government emergency assistance overseas. USAID/OFDA responds to all types of natural disasters, including earthquakes, volcanic eruptions, cyclones, floods, droughts, fires, and pest infestations. USAID/OFDA also provides assistance when lives or livelihoods are threatened by catastrophes such as civil conflict, acts of terrorism, or industrial accidents. In addition to emergency assistance, USAID/OFDA funds mitigation activities to reduce the impact of recurrent natural hazards and provides training and technical assistance to build local capacity for disaster risk management and response. World Vision is a global Christian humanitarian, development and advocacy organisation dedicated to working with children, families and their communities worldwide to reach their full potential by addressing the causes of poverty and injustice. Our Christian faith teaches us that children, regardless of gender, religion or race, are a precious gift to the entire world - and that their wellbeing concerns us all. We shall never rest while children suffer in situations that we can change. We bring life-saving support in times of disaster. We help poor communities to take charge of their futures. We provide small loans and training that boost family livelihoods. We work with policy makers to change the way the world works for children.